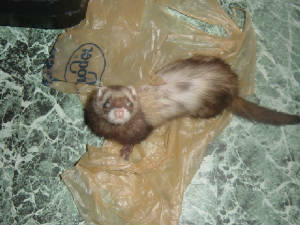 The Six Pack of Fuzz! 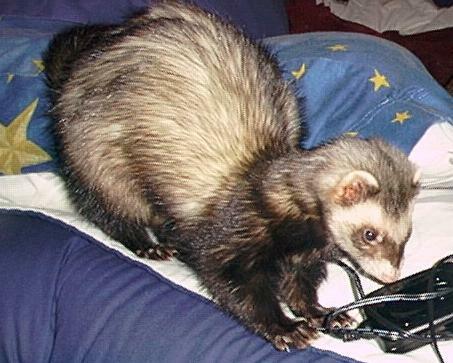 The ferrets have taken over! 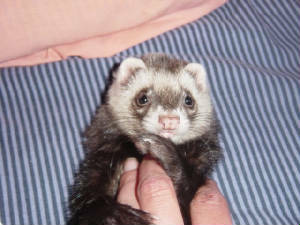 Hello there, I'm Lynlee. 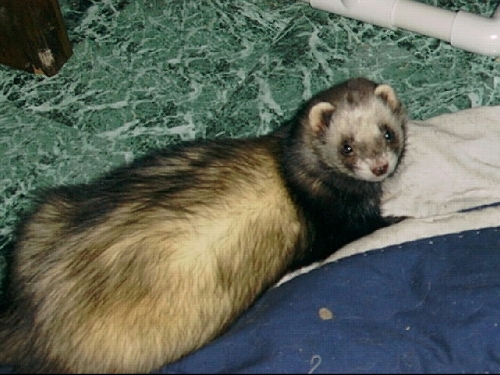 I've grown up with pets all my life, but up until August 2003, I didn't know the first thing about a ferret except that I thought they were cute. 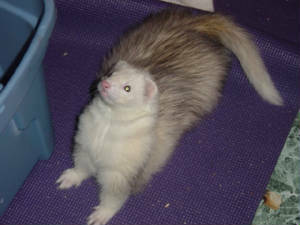 I liked them at the pet stores, but never took the step to actually bring one home. 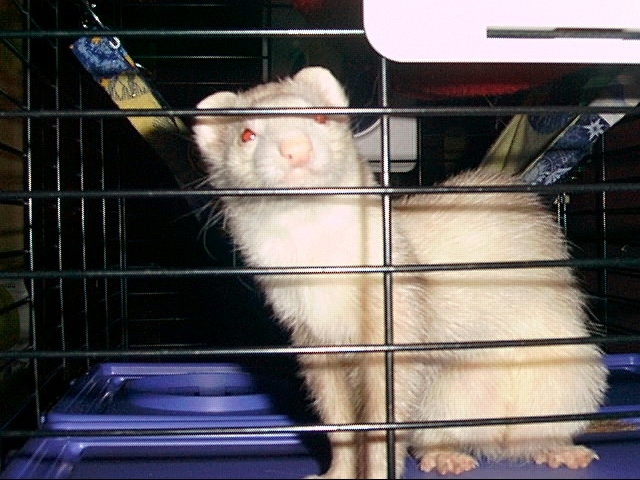 I responded to an ad on the classified board at the pet store for 2 ferrets that needed a home, and before I knew what hit me I had Rocky & Sneaker (formerly named Skeeter &Precious). 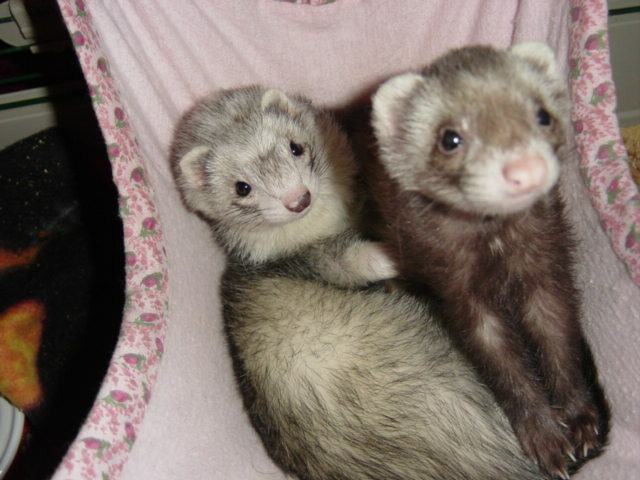 Here I am with these 2 ferrets looking at me and I have NO CLUE what I'm supposed to do with them. So, online I go- to absorb as much info as I can. 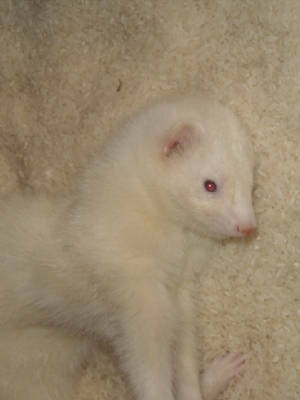 WOW, I found a TON of information, and I instantly fell slave to the fuzzies. 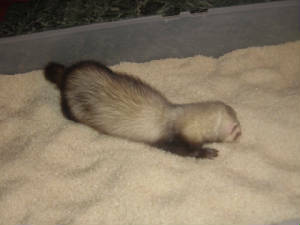 Ferret math hit fast and by October I was welcoming Spike & Twinkles (formerly named Bandit & Pixie). These 2 were part of a transport that just didn't work out, I was left with them and I didn't have the heart to take them to a shelter, so I welcomed them to my forever home. 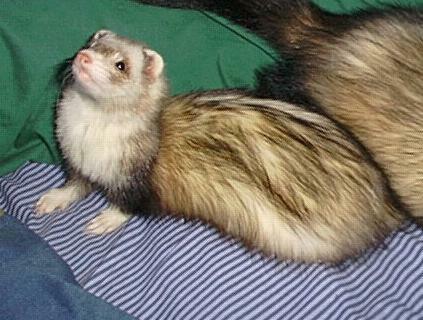 Update: Joining the ferret act, Lizzie and Dante. 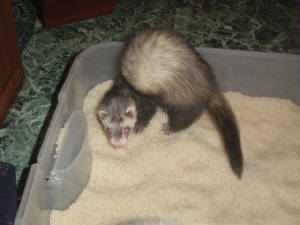 Then Jack (my deafie). 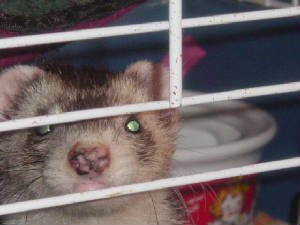 Then Hootie (a miracle he made it through the abuse he endured before coming home with me). 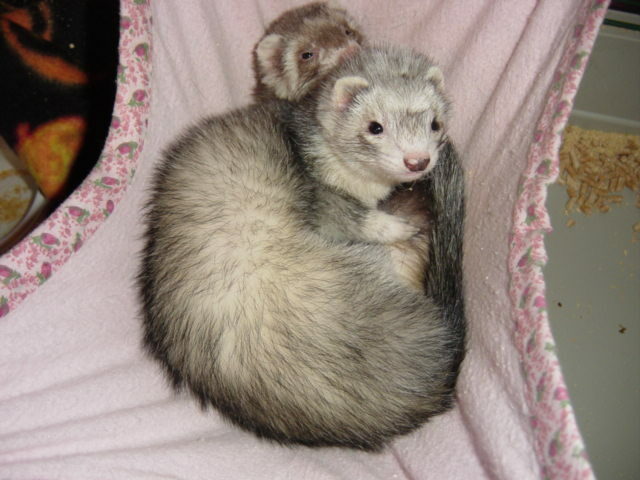 Then Molly and Mikah who were both elderly and sick when I got them; both passed on within 4 months. 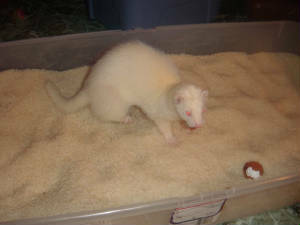 Then the FINAL installment: Patches, Whitey and Cocoa. 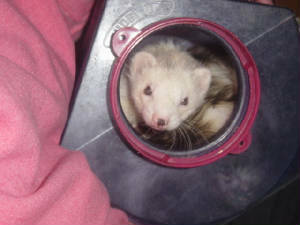 I love each and every one of my ferrets dearly, but I am CUT OFF~!